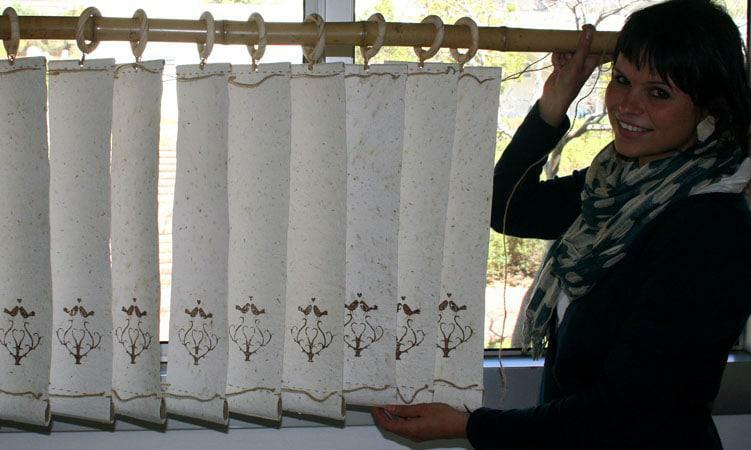 The 2nd Year Surface Design Students of CPUT designed 100% eco-products and have been kind enough to allow me to show you some of what they have done. 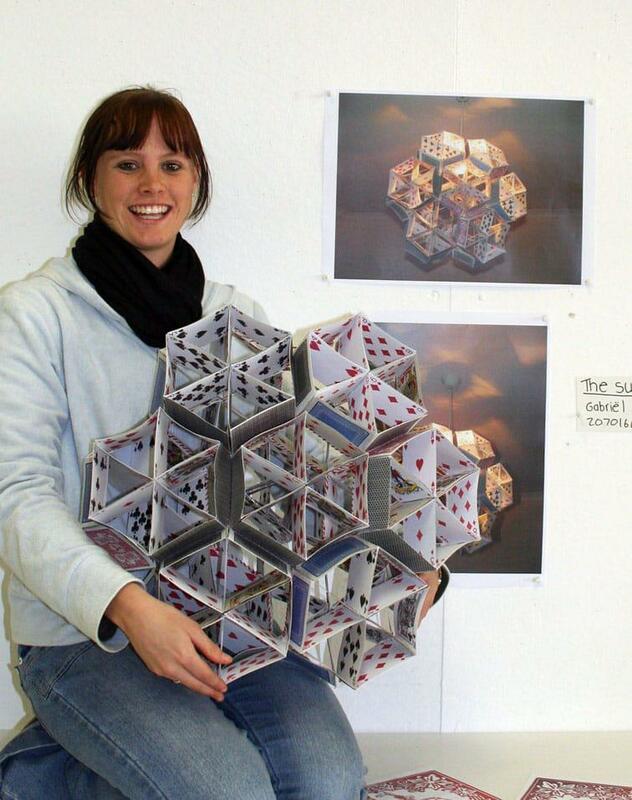 Gabi Adams and her light shade (The Suited Lamp) made out of old playing cards. 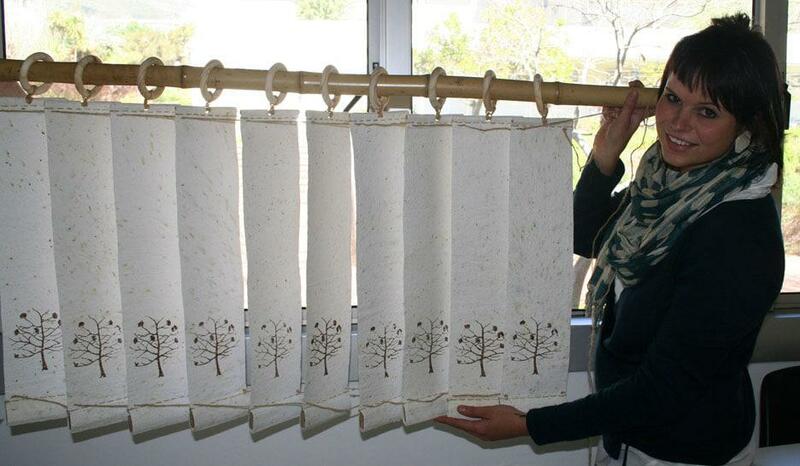 Erna Lourens created eco-friendly blinds. The actual blinds are made using recycled paper. In between the layers of paper are a selection of herb seeds so that when the blind does become old (as they do), you can ‘plant’ the blind in your garden and have a herb garden. 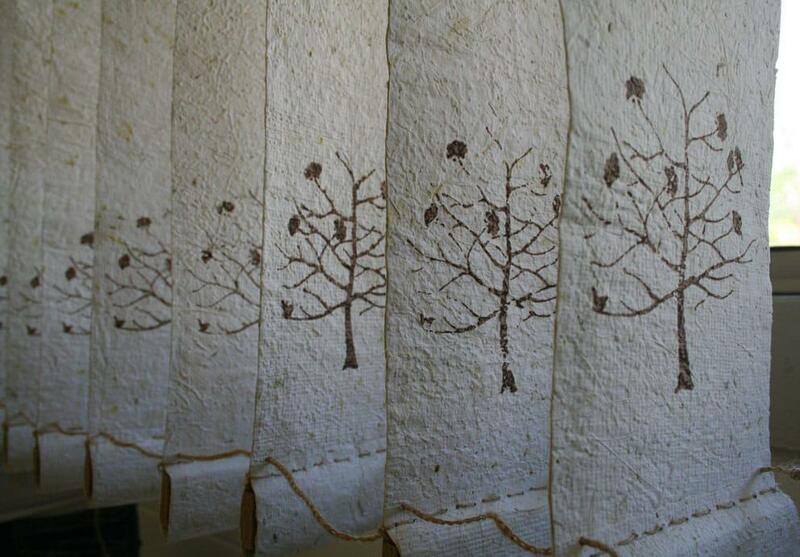 She used jute as the pulling string and eco-friendly printing paste for the design that is printed onto the blinds. 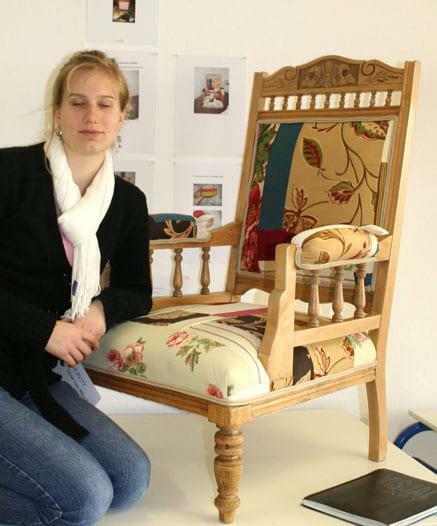 Melanie Pietersen (Left) and Tessa Van Blerck (below) both upholstered a found chair. 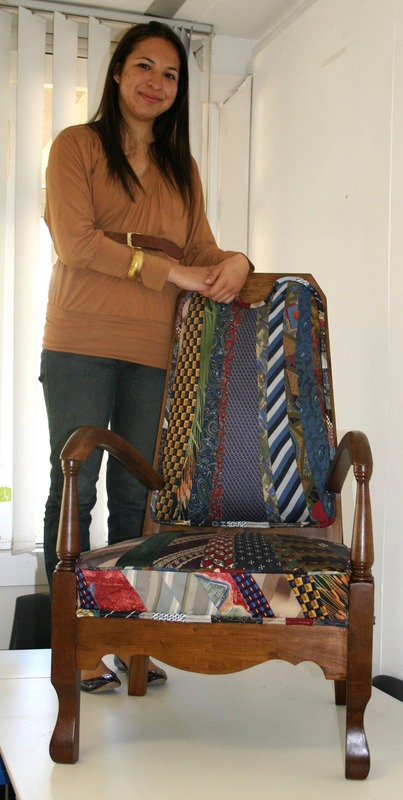 Melanie used old ties and Tessa used fabric scraps in a carefully placed composition. Tessa also striped the chair and recoated the wood using beeswax. 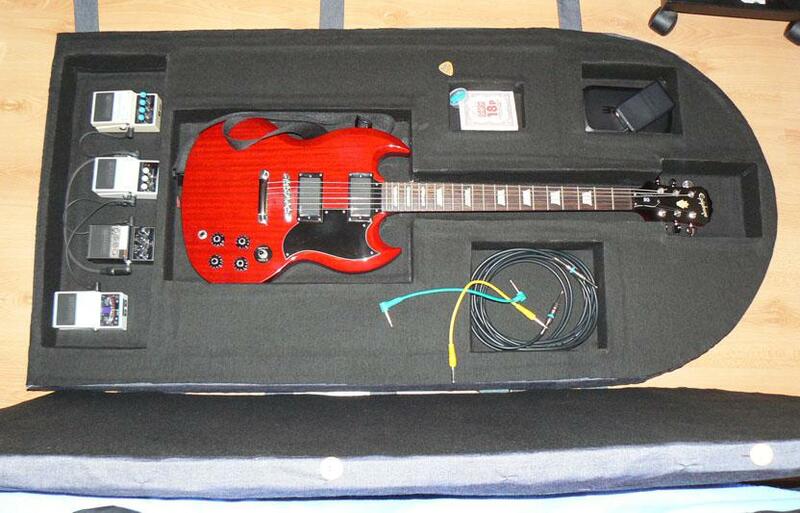 This guitar, cables, peddles and amp case is made by Alett Strydom. The body of the case is made using Hyacinth pulp. 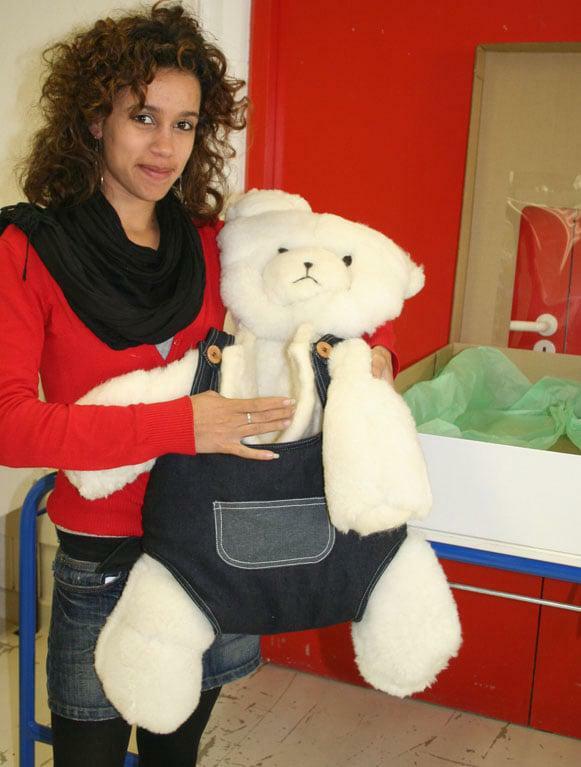 Megan Amon made a teddy bear that grows with the child. As a baby the child can sleep in the teddy. 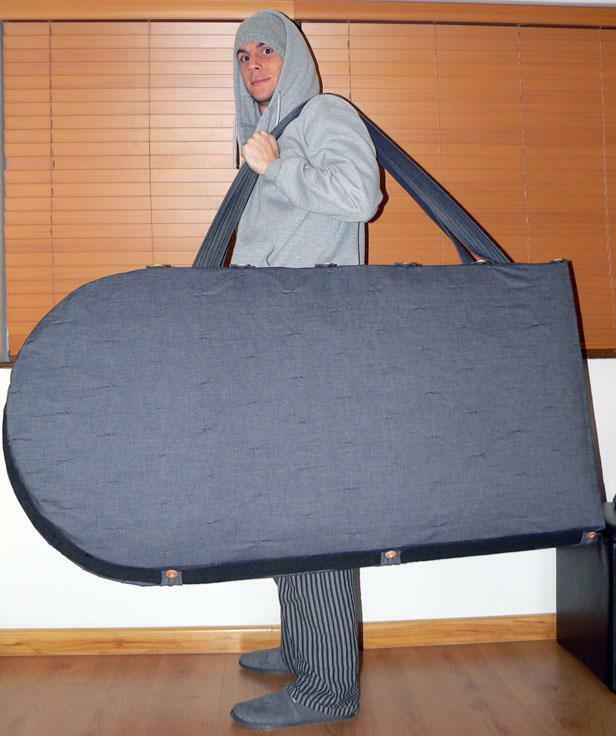 It is made of organic felt which is very soft and a great insulator. As the child grows up the teddy can become a rucksack/bag. The benefit of this is that the child grows away from the teddy bear slowly. This entry was posted in Blog and tagged bear, CPUT, eco blinds, eco-bear, Eco-friendly design, Guitar case, hycanthus, paper mache, Student Design, teddy bear. Wow…great projects from the design students.They all did a really good job!Especially I like the first and the second projects ( lamp and blinds).Have a nice evening and greetings! FAAAAAANTASTIC! Love love love those shades! what a magnificent idea!!!!!!! 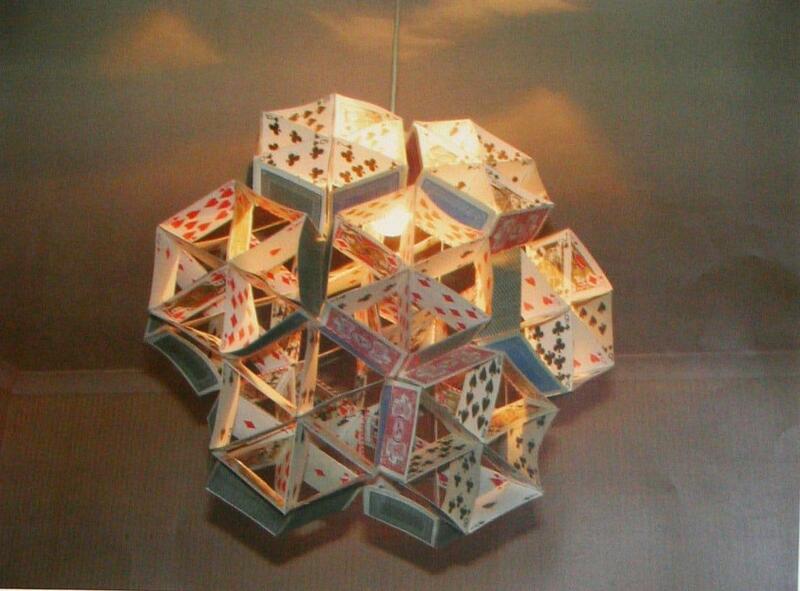 the lamp is also super cool… the tie chair…everything!!! !